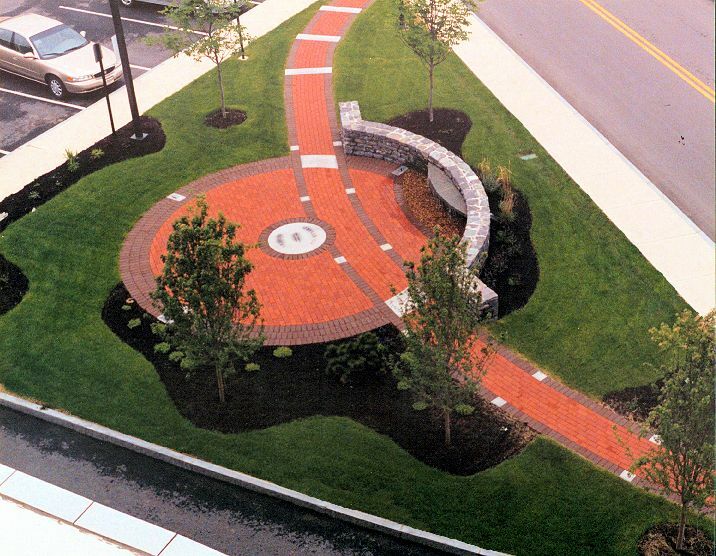 Cancer survivors & families honor loved ones through the memorial Tribute Courtyard atConcordHospital. 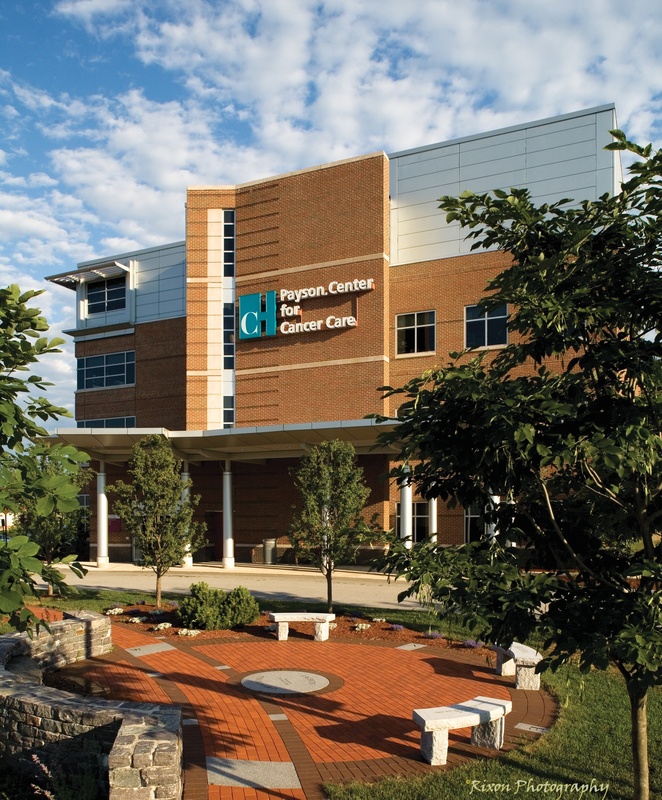 Nearly 350 donors to thePaysonCenterfor Cancer Care joined in the dedication of the Donor Wall and Tribute Courtyard. The ceremony represented the final chapter in the hospital’s successful capital campaign, which raised more than $10.5 million to build the cancer center. The Courtyard was built of brick pavers in a circular pattern with a granite centerpiece and granite Cardinal compass points. One side of the courtyard Incorporated a stonewall usedas a sitting bench with a built-in, roughhewn granite slab acting as a water feature. The water cascades down the slab where it falls into a stone pebble basin. The resulting waterfall was backlit and serves both as a visual element and as a soothing background sound. Hospital President and CEO Mike Green acknowledged and thanked the contractors who donated their time, resources and materials to build the Tribute Courtyard including DC Designs Architectural Studio.